In a state that has a population of just over 10 million people, the city of Cary seems almost tiny with around 155,227 people living and working within the city limits. Cary is notable, however, for appearing at the forefront of a heroin epidemic that has seen some innovative approaches by law enforcement personnel. With the opioid’s use rising dramatically in recent years, law enforcement has been forced to address the epidemic using novel approaches, in conjunction with the emergence of several civil task teams that are battling overdose deaths in the city. If you live in Cary and have fallen victim to substance abuse don’t hesitate to seek treatment. There are enormous resources in at your disposal. While statistics point to just under 500,000 people in North Carolina battling with alcohol addiction, some 33,000 people are also in treatment for drug addiction at any one time in the region. According to a recent San Francisco-based healthcare brokerage report, Cary is one of four NC cities that feature in the American top 20 worst cities for heroin abuse. Being a “first stop” for many drug syndicates running merchandise in from the East Coast, Cary bears the disturbingly heavy brunt of being a depot for further distribution inland, even as far as the West Coast. Being something of a staging post for established coast-to-Atlanta routes, Cary battles well established and well organized cocaine and heroin syndicates who typically ferry drugs up the coast from further south. Compounding matters are the Mexican syndicates who traffic from the border posts across America as far as the East Coast, and also employ Cary as a noted transit point in their endeavors. The clear pattern of a rise in heroin and cocaine abuse being linked to an increase in drug-related crime can be seen in city figures. Around 8.5 percent of North Carolina’s population aged 12 years or older – over 700,000 people – are addicted to either drugs or alcohol and often both. With over 100 counties and 532 municipalities in North Carolina, law enforcement efforts have only recently started to take a holistic and state-wide approach to drug trafficking and related crimes. In 2014, America suffered a serious year of overdose-related deaths. The following year, 2015, was a record year for America as figures continued to climb to around 54,000 overdose deaths. That grisly year was only to be outdone by 2016, when more Americans died from drug overdoses than died in the entire Vietnam War – over 60,000 in total. Taking a slightly bigger picture view, this represents a 300 percent increase from 2009. Also alarmingly, around half of opioid deaths can be attributed to prescription drug abuse. North Carolina hosts the city with the highest opioid abuse rate in America – some 11.6 percent as recorded in 2016 in Wilmington – with the region’s other towns of Hickory, Jacksonville and Fayetteville topping national charts for drug abuse. North Carolina is currently battling an opioid epidemic and shows overdose death statistics that are much higher than the national average. Alcohol, crack cocaine and cocaine all pose serious issues in Cary, but the rampant heroin and prescription drug abuse culture is the leading cause of overdose death in the city and consumes much of law enforcement’s resources. The criminal justice system has introduced some innovative approaches toward both stemming drug flows in the city as well as dealing with drug crime cases. In 2017, the city’s police chief rededicated the department to improved attempts at stemming particularly heroin trafficking and sale. The city is also taking a very different approach by targeting and testing waste-water in specific areas in order to marry the analysis results into a broader demographic profile. The testing will determine which drugs are prevalent in any given area. One of only four municipalities in the U.S. to receive grant funding of some $100,000 to trial the process, Cary authorities hope the project will sharpen the effects of drug control in the city. Researchers analyzing results could contribute to a shift in countermeasures to make combating particularly opioid use more effective, as well as testing after their introduction to determine success rates. Special drug courts are available although frequent sentencing in criminal court for drug-related offenses is also routine. Leafy Cary has been surprised by the rapid increase in heroin and prescription drug abuse and courts are often still following the book when it comes to sentencing offenders. For juvenile offenders, Cary police have also begun carrying drug overdose emergency kits, in order to deal specifically with younger victims. The main ingredient of the kits is the anti-opioid drug naloxone. Saving young lives on school campuses and elsewhere has become established routine for Cary police officers. Complicating the problem of heroin abuse is the growing trend of mixing in a prescription drug – Fentanyl – that carries the base substance further and gives its own boost to the mix, but can often prove fatal, especially when injected. Drug-seeking activity. A person is noticeably over-engaged in quests for their drug, either constantly hustling for cash on a daily basis or frequently travelling around town to string things together, disrupting normal routines and/or disappearing at strange times of the day or night. Neglect. Strongly associated with the above, comes visible neglect either of personal grooming habits or appropriate dress, especially at work, as well as the neglect of personal responsibilities and obligations on the home or work front. Unhealthy association. A substance abuser might start to hang out with the drug-related crowd or cultivate friendships that others can see are highly unlikely or unsupported by the person’s typical behavior or choice of friends. Cravings. A person might experience intense cravings with associated physical discomfort when deprived of their drug. Most often highlighted when it manifests in inexplicable mood swings and erratic behavior, craving can become the unspoken yet increasingly obvious drive behind a person’s daily life. Physical dependence. Physical dependence on a substance to maintain a new homeostasis in the user’s body is a typical manifestation of sustained abuse. Not only will it manifest as the craving depicted above, it may manifest in bizarre eating habits, the excessive consumption of other substances and a generally uncaring attitude, often in difficult social settings. Tolerance. Combined with this, a tolerance usually develops where a person needs larger amounts of the drug to maintain their regime over time. This simply exacerbates the addiction, making it more visible to others. Withdrawal symptoms. Withdrawal symptoms are a byproduct of rehabilitation for many and they are also often evident in the tiny glimpses day to day that are caught of the user agonizing over their need to “go out” or otherwise secure their substance. Poor judgement. Strangely frequent misfortune, minor clashes with the law or criminal elements as well as thefts from around the home, unexplained deceit and lying are all indicative of someone possibly being addicted to drugs. Financial trouble. A person may be flagged when they make a habit of withdrawing large or constant amounts of cash in spite of affordability issues yet have nothing material to show for their expenditure. Isolation. For many, often aware of the need to mask the reality of their lives, shutting off communication and socialization becomes their modus operandi. Not only is this useful to delay discovery of addiction, some substances bring about real paranoia and depression, both of which feed into the isolation a drug user might experience and practise. Cary is a small and picturesque, unassuming city, and many struggle to believe it’s at the top end on drug abuse and overdose figures in America each year. Although ranked as one of the safest cities in America, the link between violent crime and drug trafficking or abuse is definitive, even though those statistics might often be far lower than neighboring towns. On an average annual income of $91,481, Cary fares better than the North Carolina median of $53,482. When in 2017 the town experienced six overdose deaths from a total of 46 reported opioid overdoses, that 70 percent increase from 2016 set the pace with police and treatment centers all now fully preoccupied with stemming the rise. Although certain neighborhoods in Cary are known street drug dealing hot spots, the rise in opioid abuse cuts across all sections of Cary society and creates an ill-fitting vision of this otherwise pretty town. Eastern suburbs downtown might be the hub of drive-by drug trading but “doctor shopping” (gleaning several prescriptions in a day by visiting several doctors and thereafter filling out the prescriptions at different drug stores) is an often unseen suburban phenomenon taking place everywhere in the city. Although the pervasive abuse of alcohol as well as other illegal drugs like crack cocaine, cocaine and methamphetamines are no minor issue for Cary law enforcement, it’s the dramatic rise in opioid abuse that has the Wake County town scrambling. While alcohol is often implicated in motor accident deaths, for simple over-consumption and overdose death, heroin remains the city’s top killer. In a bid to stem over-prescription of potentially addictive drugs, federal agencies are looking at tweaking existing legislation to monitor and reduce such issuing of potentially dangerous substances. Due to their easy access and efficiency, many doctors unthinkingly prescribe the drugs that end up contributing to annual abuse and death statistics. Thousands seek help every year in Cary for substance addiction and, on the plus side, set against the alarming rise in opioid and other drug abuse, many treatment centers and societies populate the city. Assessment is always a first step towards recovery. This typically ensues after a person has contacted a recovery center, unfortunately very often after being involved in an accident where they came into contact with medical professionals. Even worse for some, the first tentative reaching out is triggered by arrest for possession, DUI or other criminal activity that is supporting their habit. Undergoing an assessment at a recovery center is the first step on a long-overdue journey. 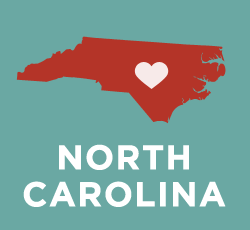 There are many free and more specifically targeted recovery centers in and around Cary. When a person has come to the point of realization that their life has become unmanageable or dangerous to others, booking an assessment at a recovery center is a typical route to recovery. At the assessment a prospective patient will undergo initial counseling and a medical assessment to determine their immediate needs. Set in a welcoming and professional environment, the interview normally comes with a huge amount of relief for people seeking treatment. It enables the generation of a realistic view of abuse, allows a person to begin to figure out how they will prepare for whatever option – inpatient, partial hospitalization or outpatient – they elect to pursue recovery and, also, allows for a planned, open and honest route to rehabilitation. Clients can merge their own personal requirements into the various programs on offer and choose a route to recovery that best suits their personal circumstances. Students and parents, particularly, often opt for some form of outpatient treatment to enable the continuation of their necessary daily duties. Detoxification may be a home-based fitness pursuit but, in the case of the recovering addict, a detox is prescribed by center staff as a first step toward recovery. While typically a first component of an inpatient program, it is also possible to manage withdrawal and other symptoms such as fatigue and depression on an outpatient basis. Center professionals will analyze a patient to determine the best route to expelling the unwanted substance from a patient’s body, based on the nature of the substance at play, a patient’s personal disposition as well as any medical concerns. Detoxing involves a regimented diet, exercise or activities as well as taking medication formulated to offset the negative effects of cessation. Prior to intake as a patient in recovery, many substance abusers find themselves fighting a strong denial within them that resists accepting the true extent of their addiction. Although detoxification is typically commenced immediately, a patient may have a few hours or days before complete admission and the start of their recovery program. As grappling with this physiological manifestation of addiction is so difficult, patients are usually encouraged to begin treatment as soon as possible after the initial assessment, in order that denial not defeat the impetus to recover from addiction. A person seeking treatment for addiction has a variety of options open to them in Cary. There are three broad routes typically followed – inpatient treatment at a residential treatment center (RTC), partial hospitalization at a center (PHP) and intensive outpatient treatment (IOP). Within these usual routes a wide variety of mixes and marriages can be formulated to accommodate personal needs and desired outcomes. Patients have the choice of tailoring their treatment program to both encapsulate all unavoidable essentials yet still allow for the execution of necessary duties on the home or work front. For many as an inpatient, wholesale admission and removal from their daily lives within a treatment center presents the most logical and attractive option. It’s a personal decision as to whether a person goes for this extent and intensity of treatment, but many cannot make the choice anymore by the time they arrive at a rehab center, as their addiction is rampant and not manageable on an outpatient basis. Advantages of inpatient drug treatment are that all temptation is physically removed, intensive treatment can begin immediately and these factors combined show high success rates post rehabilitation. Disadvantages would include the need for a complete retraction from a person’s usual daily life, the common onset of depression coupled with withdrawal symptoms due to the dramatic switch on all previously normal fronts, and a feeling of imprisonment for many, albeit voluntary. Partial hospitalization (PHP) is a middle way between full admission to a rehab center and intermittent outpatient treatment. Here advantages and disadvantages are juggled based on a person’s personal commitments outside of the center as well as other compelling factors that vary between patients. The single greatest advantage is the maintenance of some freedom of movement, coupled with the demand on a partially hospitalized person to exercise their own strength of will when off the center grounds. The greatest disadvantage is the potential for a person to discover that they cannot manage this discipline, experience relapse or simply perpetuate a low-key, now “acceptable” level of drug abuse. Outpatient treatment is usually recommended for less severe cases of addiction, although in some cases it can prove perfectly successful for even severely addicted patients. This is more a product of an individual’s personality and abilities in various spheres. If someone has a basically strong will, often the guidance and treatment regimes of an outpatient program are all that’s needed to cure an addiction to substance. This is a factor every person entering rehabilitation must weigh up before treatment can commence on the preferred basis. Treatment centers can point to the likelihood of this approach succeeding or not and have general checklists that predetermine optimum routes to recovery. Cary rehab center staff are some of the most welcoming and astute healthcare professionals in the recovery arena, and the city is at the forefront of modern approaches to rehabilitation. While initial treatment for addiction results in a cessation and rehabilitation, long-term sustainable sober living involves a tremendous amount of aftercare, post recovery. Again, certain individuals shed addiction quickly and find it easier to never look back. They should not be upheld as typical examples of the process, however, as Cary statistics shown a significant amount of relapse, usually associated with half-hearted attempts at recovery. These typically stem from a patient’s insistence on a partial or outpatient treatment program against the advise of center staff. With the established and professional practice of rehabilitation center staff, this seldom happens however, and the vast majority of those seeking treatment are appropriately advised and encouraged and cured of their addiction forever more. Aftercare post recovery is a critical component of a future healthy lifestyle. Aftercare takes many forms – counseling, group sharing, persistent medical treatment or association with a civil organization that supports recovered former addicts. The vast majority of rehabilitated people find it not just beneficial but also enjoyable to partake in some form of aftercare, often for years. Aftercare on the center premises establishes a healthy, affirming regime of self-interest and care for those rehabilitated. Very often, previously addicted people find tremendous value in involving themselves in the assistance of others with substance problems, and the aftercare network enables this through group sharing sessions and mentoring programs. Many established civil programs advocate a “buddy” system where former addicts can support one another in dark moments and very often these relationships are a great aid to future honest, healthy living. The reality of someone alongside a person who shares the harrowing experiences of addiction, dark moments and uplifting moments, can prove an empowering aid and provide a transition from intensive psychotherapy to a gradually normalized discourse around and assimilation of a previously dark moment in a person’s life. Sober living is more than a repercussion of rehabilitation. It’s an interim activity or lifestyle choice that many choose after an initial intensive treatment program. Of particular assistance to those who fear a return to their former habitats and associated habits, sober living is usually offered by the rehab center and involves a “former” patient staying on the premises, contributing to center tasks and chores while still receiving continual treatment and therapy, albeit on a reduced basis. Sober living homes can also be distinct, separate homes away from the treatment center. Healthy yet strict routines are set for inmates and, for many, sober living spaces are a needed transition abode before reentering the world as an autonomous, independent citizen again. During a spell in a sober living environment, the sponsor system often takes effect, with two people finding mutual benefit in policing one another’s sobriety, giving a human context to life after addiction and much-needed mutual support.